The other day at work we were talking about our favourite seasonal foods; many loved roast Turkey, pigs in blanket and of course mince pies, some even loved Brussel sprouts (it’s true!). 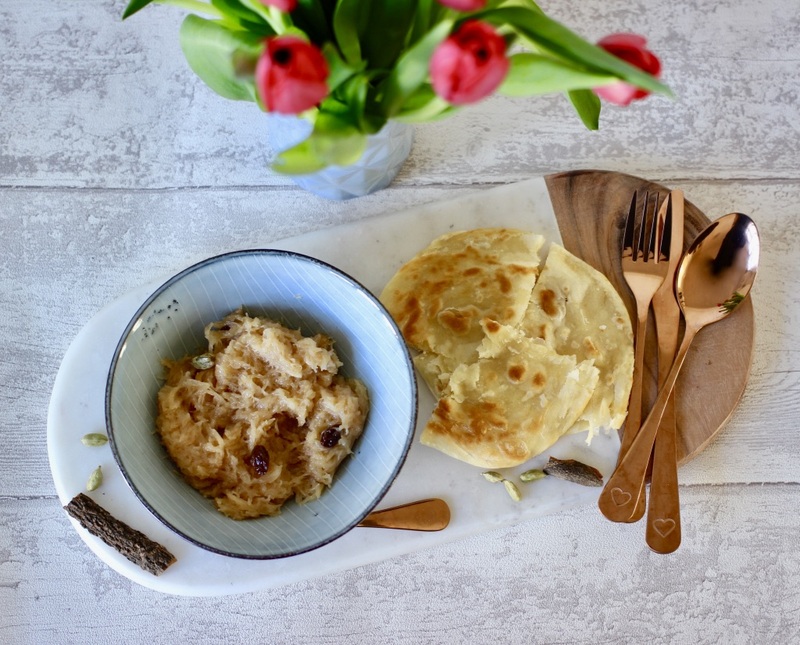 For me however my favourite is my mum’s sugar and spice vermicelli and her amazing home made parathas. 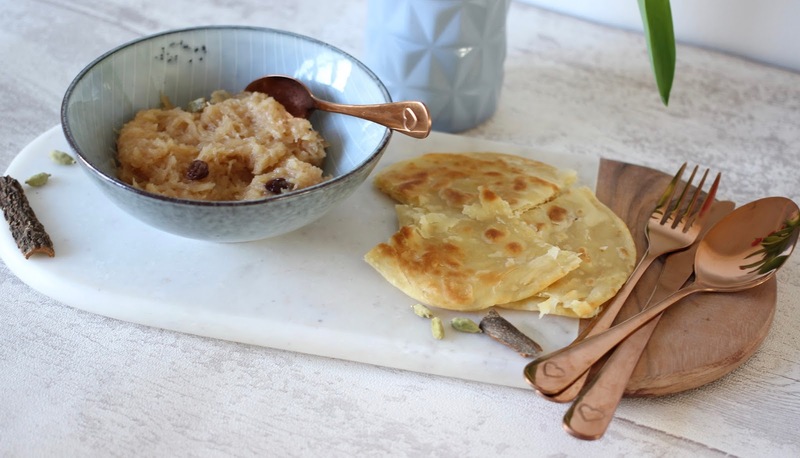 This dish is made with Asian vermicelli and we traditionally eat it for breakfast on Eid, where it’s customary to start the day with something sweet after Ramadan. A treat well deserved after a month of fasting. This dish though became a firm favourite for us all so we indulge on special occasions such as my brother coming home from uni, my sister and her family coming to visit from Germany or Christmas, really it’s to celebrate family time. 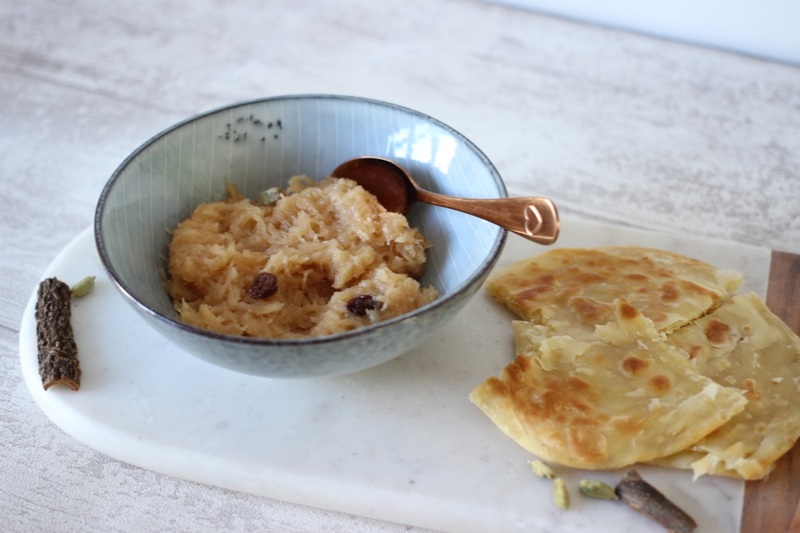 As a special occasion dish this is an indulgent one with sugar, spices and clarified butter, but that’s what makes it a special treat and I hope you’ll like it as much we do in our family. Over a medium heat, in a separate pan heat the ghee until melted. Add the cinnamon, cardamon and vermicelli to the ghee and stir. Add the water and sugar to the vermicelli and spice mix and bring together. Simmer for about 5-7 minutes, until the sugar has fully dissolved and the water has been absorbed. Add the raisins/sultanas/Pistachios if preferred. Add the water to bring the mixture to a dough, being careful not to make the mixture too wet. Knead the dough on a floured surface for about 10-15 minutes until smooth and no longer sticky. The dough can be made in advance if you’re short on time and chilled in the fridge. If pre-preparing remove the dough from the fridge and leave out for 10-15 minutes prior to dividing and rolling out the parathas. Lightly dust a surface with flour and divide the dough into eight balls. Take a ball of dough and gently flatten to make the paratha, then carefully roll out to a 20cm/8in diameter disc (about one hand span). Spread a 1/2 teaspoon of ghee on the paratha and then roll up length ways into a long tube. Roll the tube into a spiral like a shell, flattening gently with your thumbs to seal and then roll out back to a round saucer size. 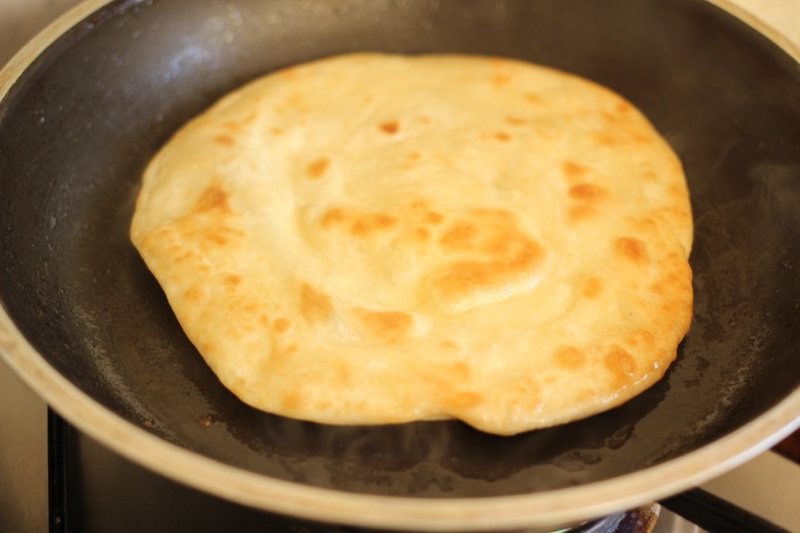 Place the paratha in a frying pan and fry gently in a little oil or ghee until cooked through and golden on each side. Repeat until the required number of parathas are made. Serve warm with the vermicelli and enjoy!